Virginia to Boise: The start of my Ministry! So I’ve made it! I have moved across country to begin work on campus! I have raised most of my budget for this years ministry and I am starting to meet students on campus! It’s hard to believe that I drove across country with my friend Jarrod and made found a place to live in Boise. (Particularly having run out of gas in Wyoming!) This past Sunday we had our annual “Picnic in the Park” event where we provided 33 Free pizzas to incoming freshman (about 175 students showed up), welcoming them to campus, loving them with food, and providing a place to relax in green grass by the Boise River and play games with their fellow classmates the day before classes. A phrase I heard over and over again was “Its nice to be able to just hangout.” For most of these students the weekend up until that point was full of, sad goodbyes, the stress of moving in, learning a new campus and city and finding friends along with every other event, tour, and obligation put before the students by the University. This event allowed us to love students by providing a way to let them relax and get to know each other as well as learn about RUF. This Tuesday we also held out first large group meeting! It was exciting to see a few freshman from the picnic show up as well as seeing returning students who have been a part of RUF for a while now. 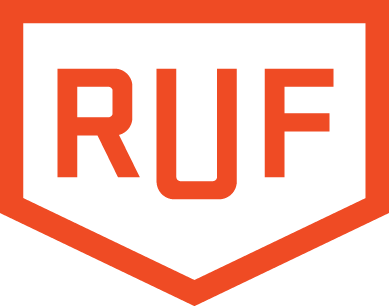 Please for the campus, that RUF can love the campus better this year than it did last year and that those touched by RUF will learn mroe about Christ. Pray for Fall Retreat coming in mid September, that many students will attend and that the time will be fun and relaxing and pleasing to God. Also, Pray as I continue to strive for 100% of my first years budget. I need to raise about $6,000 more to be 100% funded through May. $600 of that needs to be by September 9th. The Lord has blessed me greatly through all of you thus far both in Prayer and in Finances. Please continue to pray with me and consider giving if you have not already. Lord is doing great things on the college campus. This is a boxed text block. You can use it to draw attention to important content.